In the mixed environment of ScraperWiki we make use of a broad variety of tools for data analysis. Data Science at the Command Line by Jeroen Janssens covers tools available at the Linux command line for doing data analysis tasks. 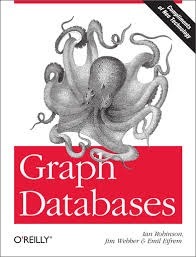 The book is divided thematically into chapters on Obtaining, Scrubbing, Modeling, Interpreting Data with “intermezzo” chapters on parameterising shell scripts, using the Drake workflow tool and parallelisation using GNU Parallel. The original motivation for the book was a desire to move away from purely GUI based approaches to data analysis (I think he means Excel and the Windows ecosystem). This is a common desire for data analysts, GUIs are very good for a quick look-see but once you start wanting to repeat analysis or even repeat visualisation they become more troublesome. And launching Excel just to remove a column of data seems a bit laborious. Windows does have its own command line, PowerShell, but it’s little used by data scientists. 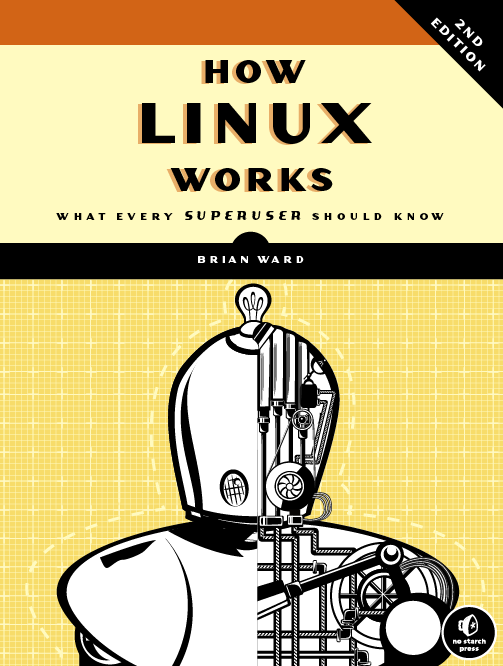 This book is about the Linux command line, examples are all available on a virtual machine populated with all of the tools discussed in the book. The command line is at its strongest with the early steps of the data analysis process, getting data from places, carrying out relatively minor acts of tidying and answering the question “does my data look remotely how I expect it to look?”. Janssens introduces the battle tested tools sed, awk, and cut which we use around the office at ScraperWiki. He also introduces jq (the JSON parser), this is a more recent introduction but it’s great for poking around in JSON files as commonly delivered by web APIs. An addition I hadn’t seem before was csvkit which provides a suite of tools for processing CSV at the command line, I particularly like the look of csvstat. csvkit is a Python tool and I can imagine using it directly in Python as a library. The style of the book is to provide a stream of practical examples for different command line tools, and illustrate their application when strung together. I must admit to finding shell commands deeply cryptic in their presentation with chunks of options effectively looking like someone typing a strong password. Data Science is not an attempt to clear the mystery of these options more an indication that you can work great wonders on finding the right incantation. Next up is the Rio tool for using R at the command line, principally to generate plots. I suspect this is about where I part company with Janssens on his quest to use the command line for all the things. Systems like R, ipython and the ipython notebook all offer a decent REPL (read-evaluation-print-loop) which will convert seamlessly into an actual program. I find I use these REPLs for experimentation whilst I build a library of analysis functions for the job at hand. You can write an entire analysis program using the shell but it doesn’t mean you should! Weka provides a nice example of smoothing the command line interface to an established package. Weka is a machine learning library written in Java, it is the code behind Data Mining: Practical Machine Learning Tools and techniques. The edges to be smoothed are that the bare command line for Weka is somewhat involved since it requires a whole pile of boilerplate. Janssens demonstrates nicely how to do this by developing automatically autocompletion hints for the parts of Weka which are accessible from the command line. The book starts by pitching the command line as a substitute for GUI driven applications which is something I can agree with to at least some degree. It finishes by proposing the command line as a replacement for a conventional programming language with which I can’t agree. My tendency would be to move from the command line to Python fairly rapidly perhaps using ipython or ipython notebook as a stepping stone. 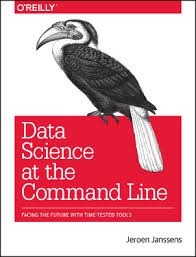 Data Science at the Command Line is definitely worth reading if not following religiously. It’s a showcase for what is possible rather than a reference book as to how exactly to do it. Pair programming is an important part of the Agile process but sometimes the programmers are not physically co-located. At ScraperWiki we have staff who do both scheduled and ad hoc remote working therefore methods for working together remotely are important to us. 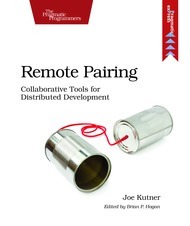 A result of a casual comment on Twitter, I picked up “Remote Pairing” by Joe Kutner which covers just this subject. Remote Pairing is a short volume, less than 100 pages. It starts for a motivation for pair programming with some presentation of the evidence for its effectiveness. It then goes on to cover some of the more social aspects of pairing – how do you tell your partner you need a “comfort break”? This theme makes a slight reprise in the final chapter with some case studies of remote pairing. And then into technical aspects. The first systems mentioned are straightforward audio/visual packages including Skype and Google Hangouts. I’d not seen ScreenHero previously but it looks like it wouldn’t be an option for ScraperWiki since our developers work primarily in Ubuntu; ScreenHero only supports Windows and OS X currently. We use Skype regularly for customer calls, and Google Hangouts for our daily standup. For pairing we typically use appear.in which provides audio/visual connections and screensharing without the complexities of wrangling Google’s social ecosystem which come into play when we try to use Google Hangouts. But these packages are not about shared interaction, for this Kutner starts with the vim/tmux combination. 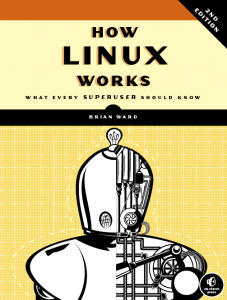 This is venerable technology built into Linux systems, or at least easily installable. Vim is the well-known editor, tmux allows a user to access multiple terminal sessions inside one terminal window. The combination allows programmers to work fully collaboratively on code, both partners can type into the same workspace. You might even want to use vim and tmux when you are standing next to one another. The next chapter covers proxy servers and tmate (a fork of tmux) which make the process of sharing a session easier by providing tunnels through the Cloud. Remote Pairing then goes on to cover interactive screensharing using vnc and NoMachine, these look like pretty portable systems. Along with the chapter on collaborating using plugins for IDEs this is something we have not used at ScraperWiki. Around the office none of us currently make use of full blown IDEs despite having used them in the past. Several of us use Sublime Text for which there is a commercial sharing product (floobits) but we don’t feel sufficiently motivated to try this out. The chapter on “building a pairing server” seems a bit out of place to me, the content is quite generic. Perhaps because at ScraperWiki we have always written code in the Cloud we take it for granted. The scheme Kutner follows uses vagrant and Puppet to configure servers in the Cloud. This is a fairly effective scheme. We have been using Docker extensively which is a slightly different thing, since a Docker container is not a virtual machine. Are we doing anything different in the office as a result of this book? Yes – we’ve got a good quality external microphone (a Blue Snowball), and it’s so good I’ve got one for myself. Managing audio is still something that seems a challenge for modern operating systems. To a human it seems obvious that if we’ve plugged in a headset and opened up Google Hangouts then we might want to talk to someone and that we might want to hear their voice too. To a computer this seems unimaginable. I’m looking to try out NoMachine when a suitable occasion arises. Remote Pairing is a handy guide for those getting started with remote working, and it’s a useful summary for those wanting to see if they are missing any tricks. ScraperWiki has been a partner in NewsReader, an EU Framework 7 research project, for the last couple of years. The aim of NewsReader is to give computers the power to “understand” the news; to extract from a myriad of news articles the underlying events which gave rise to those articles; the who, the where, the why and the what of those events. The project is comprised of academic researchers specialising in computational linguistics (VUA in Amsterdam, EHU in the Basque Country and FBK in Trento), Lexis Nexis – a major news aggregator, and a couple of small technology companies: ourselves at ScraperWiki and SynerScope – a Dutch startup specialising in the visualisation of complex networks. Our role at ScraperWiki is in providing mechanisms to enable developers to exploit the NewsReader technology, and to feed news into the system. As part of this work we have developed a simple REST API which gives access to the KnowledgeStore, the system which underpins NewsReader. The native query language of the KnowledgeStore is SPARQL – the query language of the semantic web. The Simple API provides a set of predefined queries which are easier for end users to work with than raw SPARQL, and help us as service managers by providing a predictable set of optimised queries. If you want to know more technical detail then we’ve written a paper about it (here). The Simple API has seen live action at a Hack Day on World Cup news which we held in London in the summer. Attendees were able to develop a range of applications which probed violence, money and corruption in the realm of the World Cup. I blogged about our previous Hack Day here and here. The Simple API, and the Hack Day helped us shake out some bugs and add features which will make it even better next time. “Next time” is another Hack Day to be held in the Amsterdam on 21st January 2015, and London on the 30th January 2015. This time we have processed 6,000,000 articles relating to the car industry over the period 2005-2014. The motor industry is a trillion dollar a year business, so we can anticipate finding lots of valuable information in this horde. Establishing timelines. In the World Cup data we could track the events involving “Mohammed bin Hammam” through time and the type of events he was involved in. This enabled us to quickly navigate to pertinent news articles. You can see fragments of code used to extract these data using the Simple API in these GitHub Gists (here and here), and dynamic visualisations illustrating these three features here and here. The Simple API is up and running already, you can find it (here). It is self-documenting, simply visit the root URL and you’ll see query examples with optional and compulsory parameters. Be aware though: the Simple API is under active development, and the underlying data in the KnowledgeStore is being optimised for the Hack Days so it may not be available when you visit. If you want to join our automotive Hack Day then you can sign up for the Amsterdam event (here) and the London event (here).